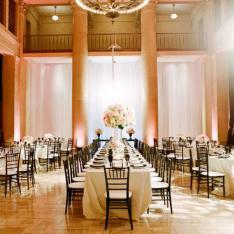 Dreaming of hosting a box office affair? We have found the venue to host it. San Francisco is one of those cities that you can properly call “beautiful”, both inside and out. 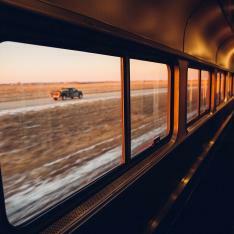 By that, I mean the city, its denizens, and the culture it emits, locally and internationally, are things everybody, old and young, find themselves compelled to want to be part of. 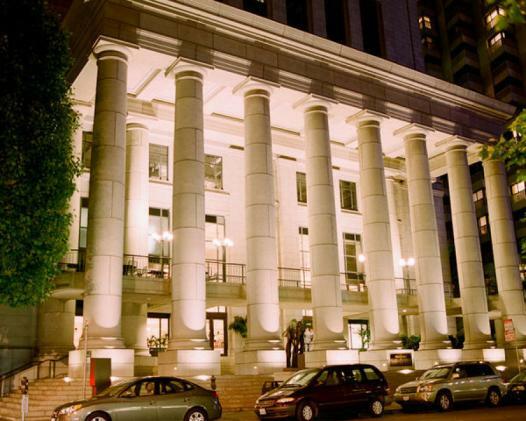 The Bently Reserve, central to everything that is San Fran’s Financial District, is one of the West Coast’s most luxurious, artistic, and history-laden venues that we’ve come across. Built in 1914, it has a colonnade exterior resembling the Parthenon venturing out front and a gigantic collection of ‘woah’-inducing visual treats. So we’re proud to give you a more-than-usual glimpse into this venue where savoir-faire meets an aesthetic ayre. 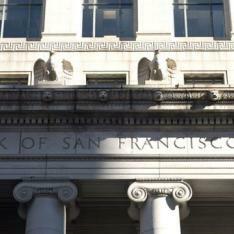 The Bently Reserve building was formerly the Federal Reserve Bank of San Francisco. 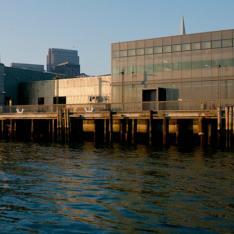 The building is featured on the National Register of Historic Places and is located in the heart of San Francisco's Financial District, within walking distance of several attractions. 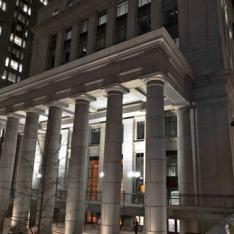 It's historic Banking Hall plays host every year to some of the City's most talked about events. 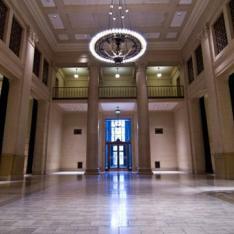 Although elegant, the Banking Hall is also extremely versatile featuring neutral tones and various layout options. The Bently Reserve Banking Hall is the epitome of the stately grandeur and timeless elegance of the banking temple tradition; it is one that hearkens back to Rome, but is also a part of San Franciscos rich and colorful history. 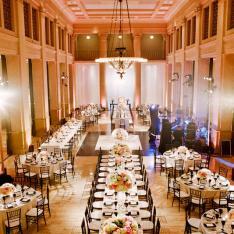 Originally part of the 1924 Federal Reserve, the Banking Hall is now a prestigious and versatile venue. 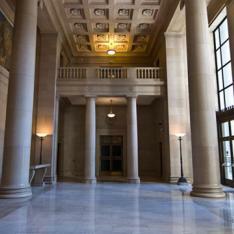 Let’s start off with this: the entirety of the Banking Hall is 8,045 square feet of room to lose your mind in. 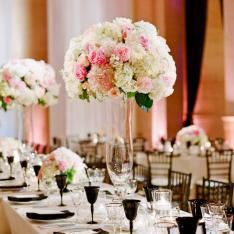 If you’re inviting people for a reception-styled gathering, it’s suggest you keep the number to 650. You can have 400 people seated if you’re hosting any kind of formal gathering and about 300 if you’re using this place for a theatre setting. But of course, that’s not all. If you saunter in a bit further, you’ll find a few more venue spaces, including various boardrooms which average 500 square feet of space each. Then, you have the ligneous-clad, traditionally luxurious conference center lounge which boasts 1,525 square feet. This lounge’s apt for breakout sessions, business meetings, bridal changing rooms, cocktail receptions, and letting lose philosophical tirades to people who’ll listen. 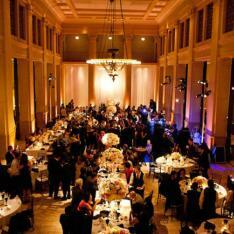 For fun events, get yourself a reservation for the Banking Hall. It’s quite large, and it has a very elegant presence. 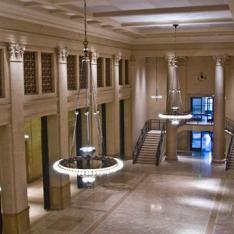 The Banking Hall is the MAIN event space. It's rental also includes the use of the mezzanine level and balcony outdoor space, which is great for cocktail receptions; two green rooms, and a couples lounge, which is a space that can be used for privacy the day of the event. The other spaces available that can be rented out separately, depending on your needs. 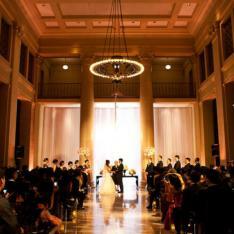 The Banking Hall is ideal for weddings and special events. 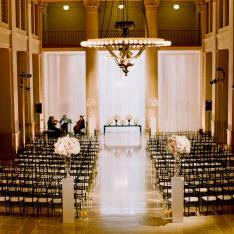 It boasts large solid bronze doors, and a marble imperial staircase that gracefully rises from the floor. 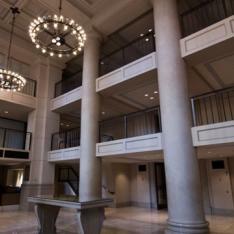 This grand staircase leads to an open mezzanine and breathtaking balcony, which provide a rare and invigorating location for cocktail receptions or even for the staging of a dramatic entrance. Because the Bently Reserve is canonized within the US National Register of Historic Places, you’ll not only get to see glorious architecture of another time, but touch it. YEAH. YOU CAN TOUCH THE ARCHITECTURE HERE. It’s like…an architectural petting zoo. But, that’s not the real bonus. 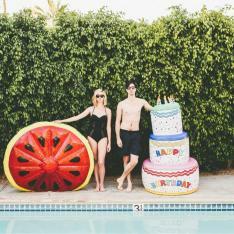 The real bonus is that the Bently has a great partnership with the adjacent Le Meridien Hotel, which also adds to the already impressive supply of things you might need for your big event, including catering, floral décor, and party balloons. Yeah, baby. Ain’t no party without party balloons dropping into your food. 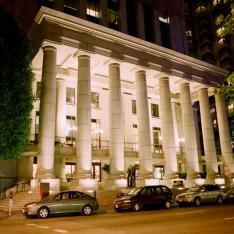 The Le Meridien Hotel is right next door, and accessible through a pedestrian bridge directly from the venue! 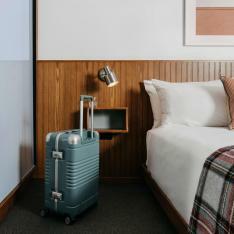 So party goers can easily stumble back to their rooms to slumber. No need to worry about shuttles or transportation. Another bonus? The space is YOURS for the full day. Yep, you have an old historic bank all to yourself. 1. As a nod to the history of the bank, use vintage coin sorters and ask guests to drop them in a vintage safe to make a wish for your life together. 2. 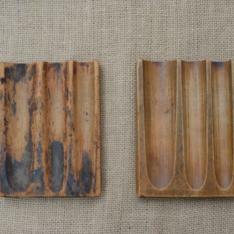 Have fun accent decor pieces that brink back the nostalgia of the old banking days. 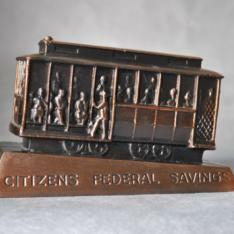 This classic vintage advertising bank is in the form of an iconic San Francisco Cable Car and was a promotional piece for Citizens Federal Savings. 3. 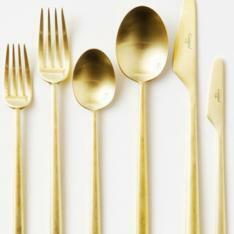 Rent gold flatware from Los Angeles based Casa De Perrin. Can you imagine how much gold this bank has held in it's lifetime? We think gold should definitely be a major accent color for your affair.. We also think that this flatware is timeless and elegant. Two major requirements for any fete at this venue. One of the coolest things about the Bently is its versatility. 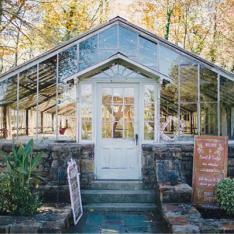 Here’s a neat trick that others have done: utilize the smaller rooms for different purposes. For example, one wedding planner used the Banking Hall for the banquet/dance floor/photography background, and set up the smaller rooms to individually cater to deserts and coffee, a charcuterie table, a blackjack/roulette/poker game room, and a kid’s pen. Of course, let your imagination run wild. Another Bonus.. 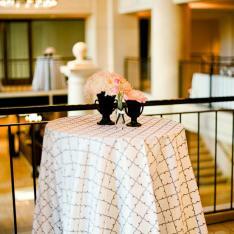 The Bently Reserve has lots of arrangements for discounts at some of the area hotels for your guests. It's a historic bank! Hello!! The space gives the feel of drama, drama, drama. 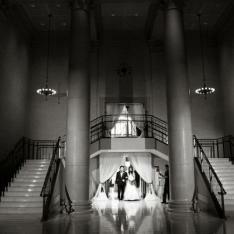 The venue is walking distance to this gem that spans four blocks. 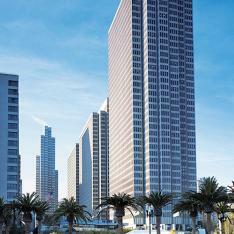 Embarcadero Center is one of the largest mixed-use complexes in the Western United States. Featuring a unique history and layout, Embarcadero Center more than 100 retail shops, restaurants, & a five-screen cinema. 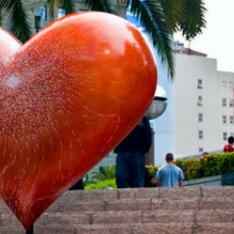 Union Square is the retail and cultural hub of San Francisco. It boasts the city’s largest collection of luxury, department and boutique shopping, making it one of the premier tourist attractions in the Western United States. You will find a spectacular selection of hotels, art galleries, salons, and theaters here. NEWSFLASH! Dreamy Desert Boutique JUST became available for Coachella!